When the anti-transgender student bill in South Dakota passed, it was the first step in a plan to eradicate transgender people from American life. Last year, the Family Research Council laid out a five point plan to legislate transgender people out of existence by making the legal, medical, and social climate too hostile for anyone to transition in. 1. States and the federal government should not allow legal gender marker changes. 2. Transgender people should not have any legal protections against discrimination, nor should anyone be forced to respect their identity. 3. Transgender people should not be legally allowed to use facilities in accordance with their gender identity. 4. Medical coverage related to transition should not be provided by the government, or any other entity. 5. Transgender people should not be allowed to serve in the military. Stop for a moment here, and imagine a world where you can’t get an accurate government ID. A world where you can’t vote, can’t drive without risking arrest, and can’t get a job. You cannot prove that you are who you are, because no one will believe your ID is real. You will never be treated as your correct gender by any government agency. What ID you have will constantly out you as transgender, inviting discrimination. Perfectly legal discrimination, if part two of their plan succeeds. Now imagine being constantly outed as transgender in this world where the law explicitly states that you are a target. Imagine having that scarlet A on every ID you possess making it clear that the bearer of this card is sub-human and has no rights: fire them, kick them out of their home, refuse to serve them, take their children away, verbally abuse them for your amusement at work—it’s all good. The religious “liberty” to abuse, harass, and humiliate transgender people reigns supreme in the Family Research Council’s brave new transgender-free world. Now imagine being transgender, and that on top of being legally un-personed, jobless, homeless, harassed, and hated, you’ll be arrested for using a bathroom. Use one bathroom, and it’s a felony. Use the other, and you’re likely to be beaten, maybe to death. If you fight back against your attackers, you’ll go to a prison for people of the opposite gender, that guarantees you will continue to be raped, beaten, and denied medical care. Imagine that on top of all of this, you can’t get treatment for gender dysphoria other than (medically debunked, ineffective, counter-productive) religious-based reparative therapy. Unable to medically transition, the only proven treatment for gender dysphoria, you’re marked constantly as being transgender. Not only does your ID mark you as an undesirable, everything on the outside of your body does too. To add insult to injury, you can’t even join the Army to escape the inevitable poverty and homelessness that accompanies being transgender under the their plan. Given all of these factors, the goal of the FRC couldn’t be clearer: transgender people must be eradicated from American life. Either stay in the closet, or be un-personed in a legal sense. Trans people who transition will marginalized in education, and shoved towards the underground economy. Transgender people will be forced to disappear to where all the other ragged people go: into storm drains, under bridges, and to encampments on the fringes of society. The Family Research Council and Republicans know full well that most transgender people, when faced with the certainty of personal ruin, will remain alone, in the closet, for life. However short that may be. The transgender community will be effectively be eradicated legislatively. And that’s exactly what they’re aiming for: to morally legislate transgender people out of existence. Call it cultural genocide if you will, it still means the effective extermination of a class of people. Yesterday, in South Dakota, legislators enacted one part of the FRC’s plan to rid America of transgender people. 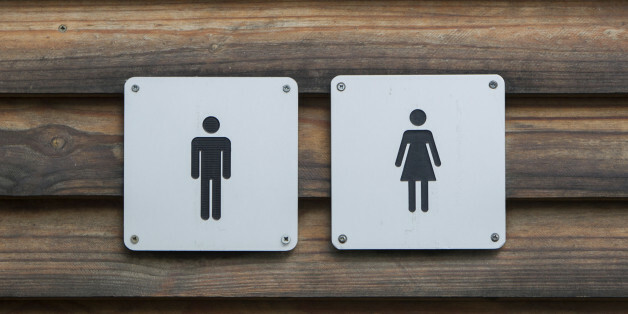 Schools will enact “reasonable accommodations” that make it nearly impossible to use the bathroom, in the hopes that transgender students will quit. If you think for a moment that no adult would do such a thing, try watching 14 year old transgender girl Jazz Jennings reading the threats from adults to torture and murder her. Talk to most parents of transgender children, and they can tell you all about the threats they receive from community members to kill their child if they find them in a girls’ bathroom. Now consider again, how far of a stretch is it just force a child to leave school in comparison? When conservatives saw an opportunity to eradicate transgender people, they went after the children first. Early on they want to send the message that you need to be straight, or get out of their society. Or perhaps they targeted children because it’s much easier to make transgender people disappear if you do it to them before they can fight back effectively. Suffer the little children is apparently a commandment in South Dakota. I always heard it quoted as “suffer the little children to come unto me”. Unless you’re a trans kid, apparently, and then it’s just “suffer”. Across the country, laws making it impossible to get accurate identification, to safely use bathrooms, laws nullifying protections, and most of all laws targeting the safety and well-being of transgender children are being heard, and passed, by legislatures. They are part of a well-funded, well-orchestrated attempt by the Family Research Council, Liberty Counsel, and Alliance Defending Freedom to erase transgender people from American life. Now, who will speak up, and when? More importantly, who will speak up for you when the FRC puts out its next five-point fatwa against some new class of people they want eliminated? And you’re next in line. Are you scared yet? If not you should be.